Whether it be genuine foot pegs, sissy bar and supports, derby covers, grips or luggage racks, the choice at Richardson’s Harley-Davidson is endless. 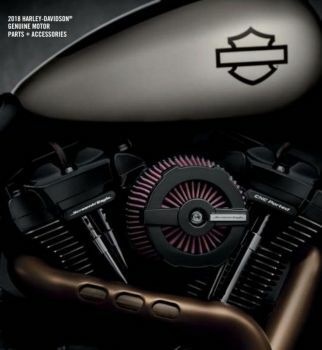 Up to date Harley-Davidson® Parts and Accessories catalogs are available at the counter to browse through and order from or quote. Ask advice to obtain a customized plan for your Harley-Davidson®. Show your style and individuality in your motorcycle. We are also the largest stockist of used and obsolete Harley-Davidson® parts in Australia dating back to the 1940’s. We have an extensive range of panels, engine components, rims, saddle bags, gearboxes, and many other hard to get parts. If we don’t have what you want, we have hundreds of dealers that we can source parts from through a local and worldwide dealer network. With the latest software we can search the inventory of all Harley-Davidson® dealers both local and international. So don’t spend hours searching for dead ends just simply make one phone call and let us do all the leg work. Our spare parts staff will be more than able to assist you with your needs so let us know how we can help you achieve your dream.